Asphalt Emulsion is a relatively new building material which competes with traditional “hot” technologies that use oil bitumen. 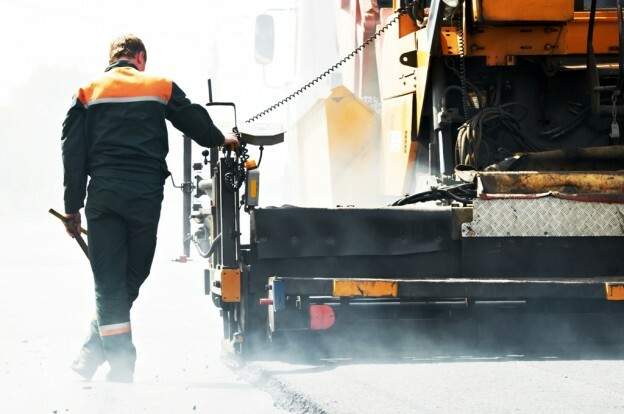 It is worth noting that among the main advantages of using bitumen emulsions are: low power consumption and ease of transportation and storage. Additionally, this material is an environmentally friendly product. The technologies that use bitumen emulsions are relatively inexpensive and cost-effective. Asphalt Emulsion is an oil-in-water system, i.e. bitumen particles are uniformly distributed in a water based phase known as the “water phase.” Special substances, called emulsifiers, are added into the product in order for the bitumen particles not to stick together and not to form conglomerates. The amount of water plays a more significant role for cationic emulsions than for anionic emulsions. The letter responds better to water containing large amounts of mineral impurities. The properties of bitumen emulsion are quite important because they largely determine the possibility of utilizing this material in each particular case. The most significant properties of bitumen emulsions include subsidence, flocculation and coalescence. Subsidence (or segmentation) is a condition which is accompanied by a reverse movement of bitumen particles in emulsion. Flocculation is a merging of bitumen droplets into conglomerates. It is necessary to stir bitumen emulsion periodically in order to avoid the initiation of this process. Agitation will restore the properties of bitumen. Coalescence is a merging of small particles to form larger ones. Typically this process occurs at the moment of emulsion breaking. When considering the stages of bitumen emulsion production, attention should be paid to a machine known as a colloid mill. The heated bitumen and the water phase pass through this particular device. A colloid mill provides bitumen breakdown into a huge number of small particles that are subsequently distributed in the water phase. GlobeCore colloid mills are designed to produce high quality bitumen emulsions fully conforming to world standards. A colloidal mill, with the required hourly capacity, can be designed and produced in accordance with the individual customer’s request. The laboratory model of the colloid mill is manufactured for new formulations testing. Bitumen emulsion passes through various stages of the production process. The first stage provides heating of the primary components: bitumen and water. This stage is followed by preparation of the water and bitumen phases, bitumen dissolution into the water phase and, in some cases, cooling of the finished emulsion. The bitumen viscosity is an important parameter when determining the asphalt emulsion production temperature. The temperature should not exceed 200°C in practice. It is also important not to bring the binding substance to the boiling point as it will simply break up. The emulsion temperature should not exceed 90°C. The water temperature is calculated on the assumption of this requirement. Asphalt emulsion can be produced using the cyclic and flow (continuous) action devices. The production process of the first type of equipment is divided into two stages: mixing the water phase and the emulsification itself. As for the continuous action devices, chemical products are continuously supplied to the water phase. The quality of bitumen emulsion does not depend on the type of production device, but cyclic-action equipment is much less expensive. GlobeCore offers such equipment as the GlobeCore UVB-1 type with the capacity of 1, 2, 6, 8, and 20 m3/h to its clients. It should be noted that not only mechanical impact is necessary for obtaining fine-dispersed emulsion. The size of the product particles is also impoertant and regulated by the proper selection of emulsifier and its concentration. The areas of uses and application of bitumen emulsion is quite wide. It includes “slurry seal”-type paving, bituminous carpet coat as well as the technology which combines both methods mentioned above. Bitumen emulsions are also used in a process of tack coating, binder layers and cold bitumen-concrete mixture production.